Just like many other islands of the Caribbean Sea, Martinique was populated by the Caribbean Indian tribes in the pre-colonial period. The European discoverer of the island was Christopher Columbus who boarded it in 1502. 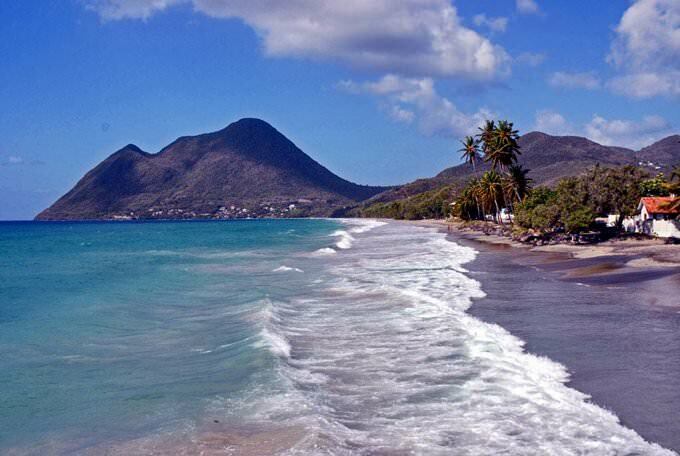 Spanish colonizers hoped for finding large gold deposits on the island. When they did not succeed, they decided to become familiar with the island. For over a hundred years, European colonizers had not been interested in it. 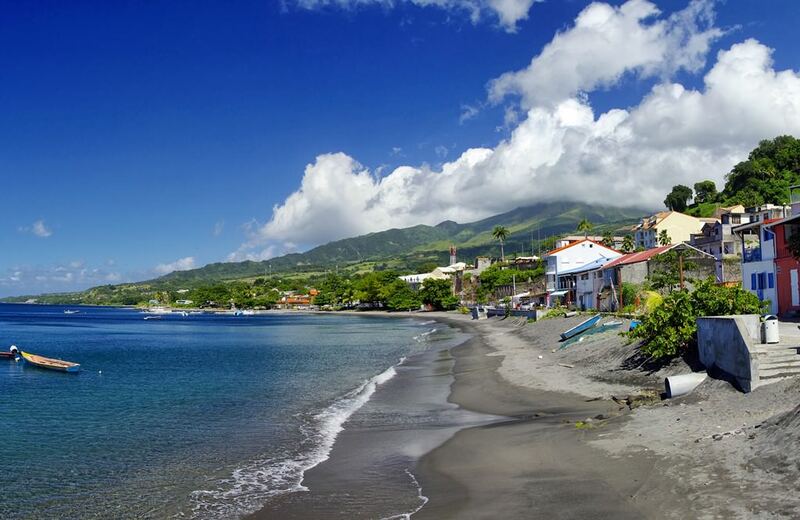 In 1635, Martinique was first visited by Frenchmen. They were attracted by fertile lands. At the early stage of the colonization, Frenchmen formed the fort of St. Pierre. 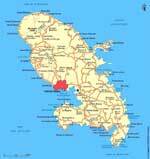 The island officially became a French colony in 1664. Despite the fact that the Caribs resisted European colonizers, they were almost slain by 1660. On the island, Frenchmen formed plantations where slaves transferred from African countries worked. Approximately, by the 18th century, almost 15 000 slaves constantly worked on the island. They processed coffee and sugar cane plantations. Now, the island lives a rich cultural life. During the year, a lot of interesting holidays and carnivals are held here. 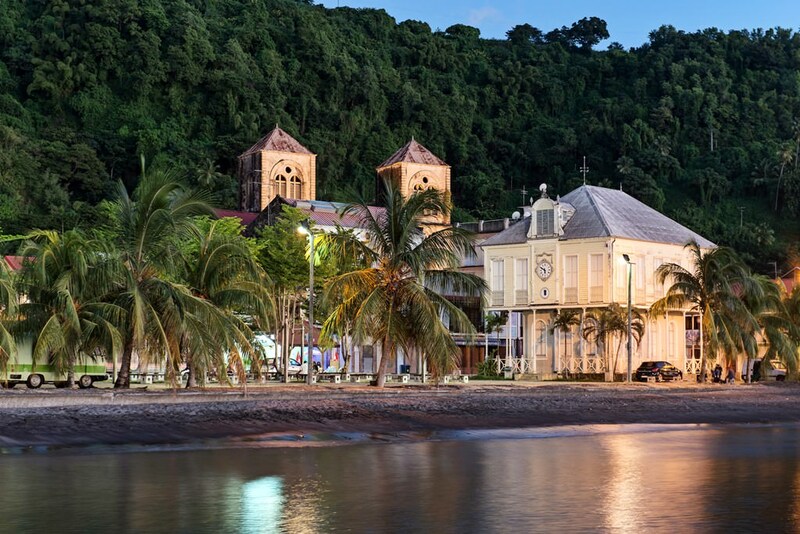 The most spectacular event for tourists is an annual festival held in Fort-de-France. It always goes hand in hand with beautiful festive parades and performances of music and dance groups. 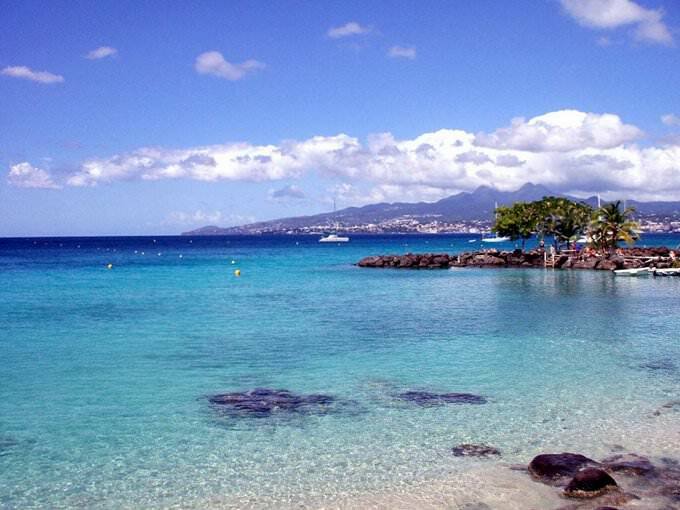 The island will certainly impress gourmets too, as they will have an opportunity to taste many rare seafood delicacies. Local anglers catch crabs, different fish species, shells, and squids. Exactly seafood is a main component of the national cuisine. Tourists also like visiting local fish markets. They are opened early in the morning directly at the seacoast. Fresh fish is unloaded from fishing boats and actively bought by local residents and owners of restaurants, in particular. 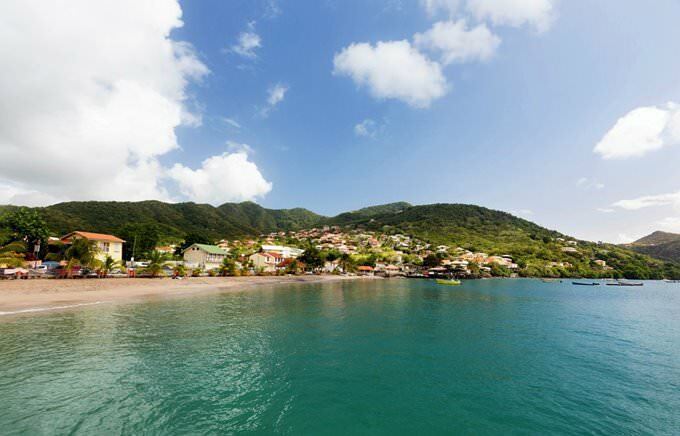 This article about iconic landmarks and sights of Martinique is protected by the copyright law. You can re-use the content, but only under the condition of placement of an active link to www.orangesmile.com. Caribbean is the seat of the majestic volcanoes. 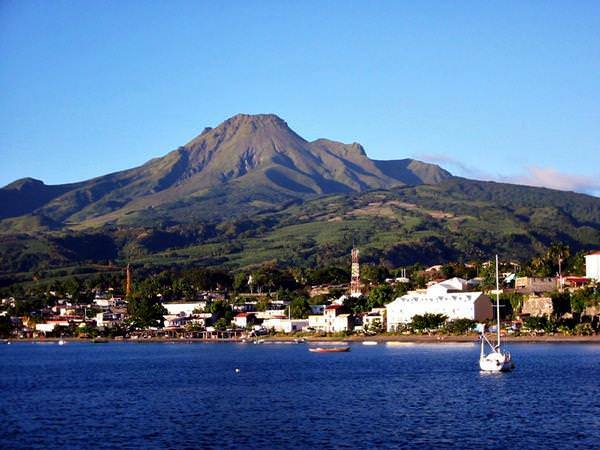 Here, on the island of Martinique, there is Mount Pelee. Its last major eruption occurred in 1902. Now, it’s considered one of the greatest catastrophes of the 20th century. Only by rough estimates, over 30 000 people were killed by the volcanic eruption. It’s noteworthy that at the beginning of the 20th century the local people were monitoring the volcano and knew about the eruption in advance. Many of them fled to the nearby town of Saint-Pierre to protect themselves from the devastating disaster. However, they could not even imagine what a disaster waited for them.